Proper preparation and submission within the indicated period of time is a prerequisite for participation. Only bottled wines that are legally sold in retail stores are eligible for participation in the competition. The privately owned wineries and cooperatives that wish to take part in the competition must present all the wines they want from their range together with the participation forms properly filled in. The samples must be delivered to the Secretariat of the competition at the responsibility and diligence of the participant and within the period that is provided. Each judge notes the codes of the samples in the serving order, together with the corresponding evaluation forms of each wine. The judge will evaluate the samples on his/her own, without being influenced by other judges, tasting them as many times as he/she wishes. Scores are based on a scale of 0 -100 and must be a whole number (e.g. 90, 91, 92 etc., without decimals). Each wine is evaluated by two tables of tasters. When the evaluation of all samples of the series by all judges of each committee is complete, the chairperson of the judging committee will collect the score cards, and after checking that they have been filled in correctly, he/she will validate them by signing them, attach them and deliver them to the secretariat of the competition. The secretariat of the competition will enter the scores of the 10 judges in the special program, and after removing the highest and lowest score, the average score of each sample will be calculated. After all samples are evaluated, the 5 first wines per category which collected platinum medal scores will be evaluated (or more if they tied), (white wines, rosé wines, red wines, sweet wines, wines of traditional designation, sparkling semi-sparkling wines). In the event where a category has no wines that received platinum medal scores, the corresponding wines with gold medal scores will be evaluated. The wines are evaluated by all the judges. The wine to get the highest score will be awarded as best wine of the category. The best wines per category are re-evaluated by all the judges, and the wine that will collect most preferences by the judges will receive the distinction of best wine of the competition. The best spirit of the competition will be the one to collect the highest score. Any further evaluation of spirits takes place only if there is a tie in the highest score. The organising committee reserves the right to reduce the number of awarded products, increasing the base of their corresponding categories. Best White wine with large production volumes. Best Rosé wine with large production volumes. Best Red wine with large production volumes. 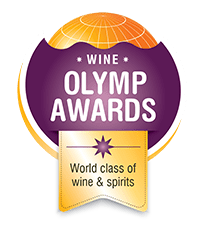 In each of the above categories, the wine with the highest ranking or otherwise the highest score, with a production higher than 50,000 bottles for the participating vintage, will be awarded. The Award is a reliable sign of superior quality, which can be used both in the domestic and in export markets. Oenologists, sommeliers, wine journalists, wine masters are opinion leaders. Their approval enhances your negotiating power in transactions with distributors, suppliers and retailers. Being able to advertise a certified superior flavour has a proven positive effect on sales. By winning the award for your products, you are maximising your marketing actions across the globe. The cost of participation is €280 + VAT= €347,2 including max 4 products (or 4 labels) for example: white wine, red wine, rose wine and sparkling wine. If you are participating with more than 4 samples, the cost is €60 + VAT for each additional participation. MSc Oinologist, Director Oinologist of the agricultural Cooperative of Megara. Consultant Oinologist in wineries. Alternate member of the Board of EDOAO. Art de Vivre”. He has worked as an enologist and as a consultant in food safety & quality management. 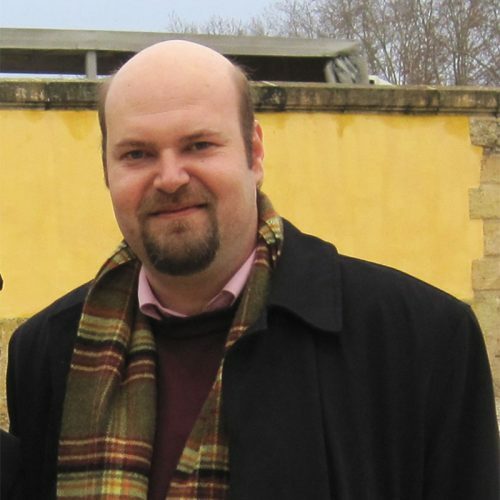 He is specialized in the fields of wine science, brewing science, fermentation technology and microbial interactions. His professional and research work focuses on wine technology, wine quality and sensory evaluation, during winemaking and ageing as well as food safety. She was born in Athens in 1979. In 2002, she was admitted at the Université Paul Sabatier Toulouse III and graduated in 2004 with a degree in DNO (Diplôme National d 'Oenologue), with a distinction for the best graduate thesis. In France she gained her first work experience at the Institute Cooperatif du Vin (ICV) à Montpellier and at Chateau d’ Anglars-Juillac à Cahors. 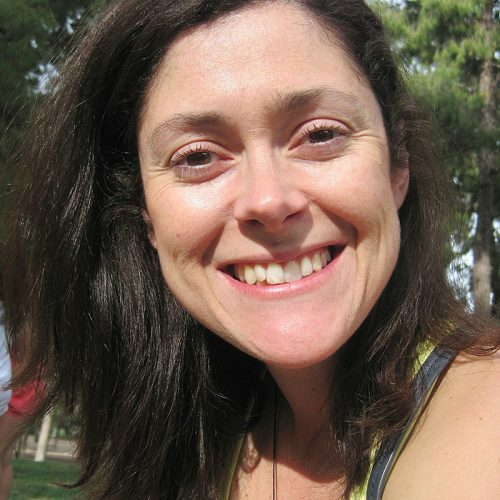 In 2004 she came to Santorini working as Quality Control Manager at Santo Wines Winery for two years. In 2006 she became the Head Oenologist of Boutary Winery in Santorini and stayed there until 2014. 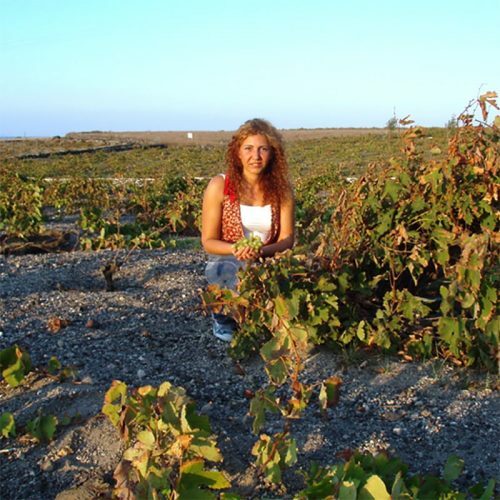 During 2015-2017 she operated as the Head Oenologist, General Manager and Partner of Venetsanos Winery (Santorini). He studied Oenology and Beverage Technology at the Technological Educational Institution of Athens. He is a Ph.D. candidate in Biotechnology. 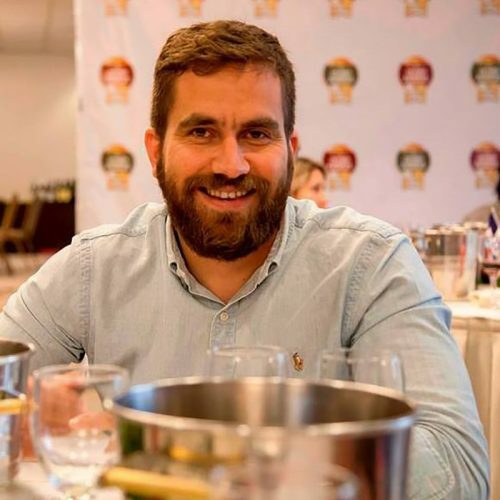 He has been working as oenologist in charge of the production and participating in miscellaneous research and educational projects in winemaking and brewing. He is a member of PANEPO and I.O.V. Flavor department at Vioryl (chemical & agricultural industry). 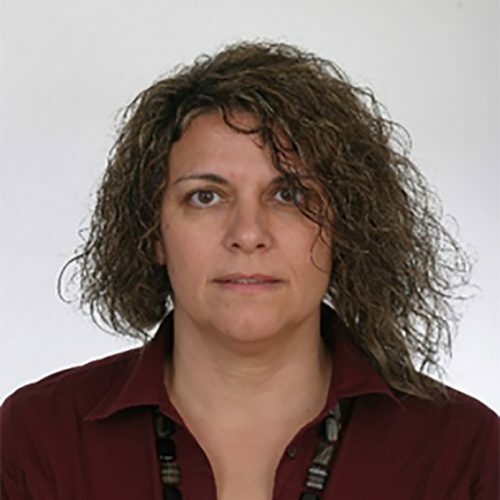 She is member of of the Pan-Hellenic Union of Registered Enologists (PANEPO). 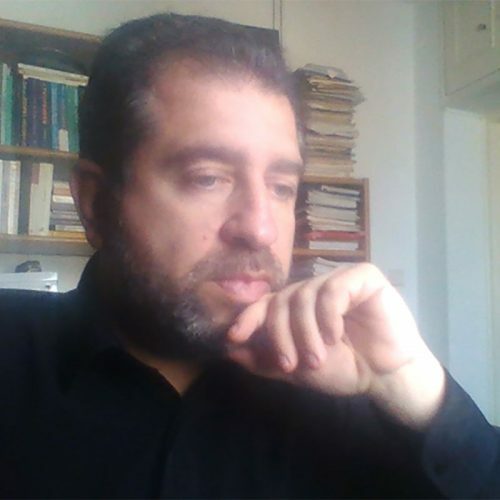 Born in Athens Greece in 1983, I studied Survey and Rural Engineer in Athens. I started learning and tasting wines in 2008 and in 2017 I finished my studies for WSET Diploma. During the last few years I work as a wine consultant and sommelier in Vinarte Wine Restaurant and I also write articles for the Greek wine magazine “Wine trails”. My next steps include the beginning of the Institute of Masters of Wine program. I have been working as a sommelier for the last 10 years. I have worked in Greece for 5 star hotel Aquila Elounda village In Crete as head sommelier head sommelier in funky gourmet 2 Michelin star restaurant in Athens Botrinis restaurant 1 Michelin Star as assistant head sommelier Etrusco restaurant in Corfu, best Greek restaurant as head sommelier. For the last 2 years that I moved to the UK, I work as sommelier for 67 Pall Mall private members wine club since its opening day. We have the biggest list in the UK (5000 bins), the biggest by the glass list in the world (700 bins) and I m part of a 15-sommelier talented team under the guidance of head of wine Ronan Sayburn MS.
Eleftheria Tsitsipa is an oenologist, with studies in the Department of Oenology and Technology of Drinks of TEI of Athens. 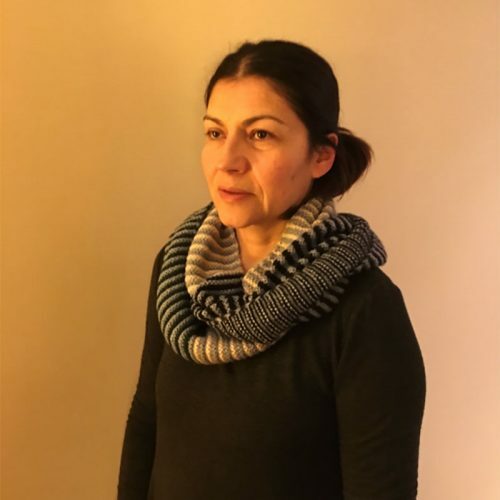 In her resume, she has a great professional experience as Oenologist of the Research and Analysis department of AMPELOULIKI, as a consultant in various wine factories in Greece and as a teacher. 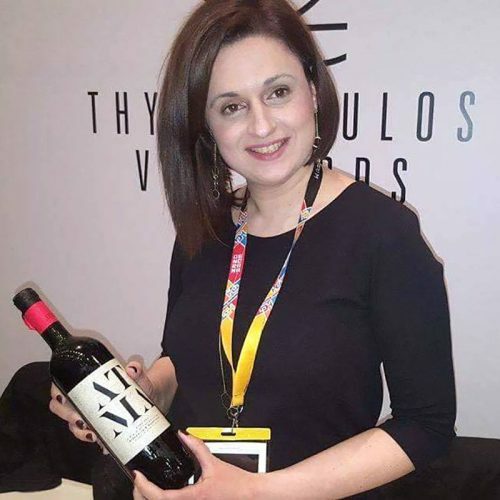 Today, she provides her oenological services to THYMIOPOULOS VINEYARDS, is a certified EFET trainer, and serves as Vice President of the Panhellenic Association of Graduate Oenologists (PANEPO), as well as a member of the Board of Directors of Greek Wines. He has participated as a judge in international wine competitions. 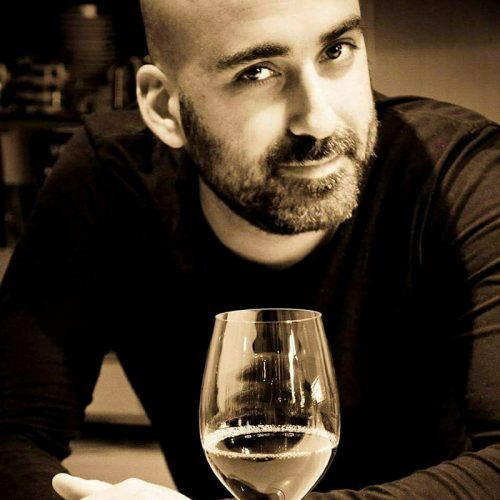 He graduated in 1995 from the Department of Oenology & Drink Technology of the Technological Educational Institute of Athens. He worked in the Spiropoulou Estate and the Vassiliou Estate. From 1998 until 2018 he has worked as production manager at GAIA Winery. Since February 2018, he works an oenologist at the Winery Troupi and Domaine Mitrevela. He started working in food-service establishments, in 2001. This past 7 years is the head sommelier and store manager of Cava Vegera wine bars & retail stores. 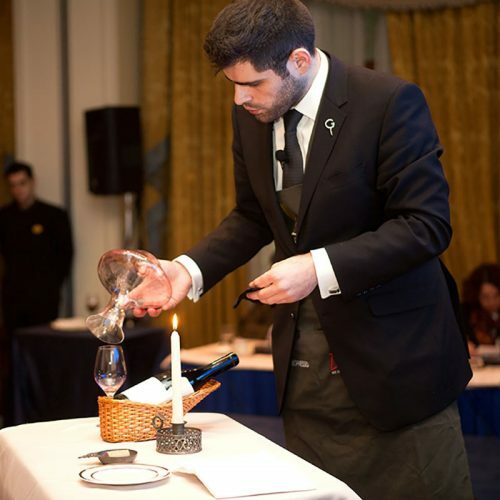 He is a Certified Sommelier by Genius In Gastronomy and the Court Of Master Sommeliers. He was 3rd best sommelier of Greece for 2017 and best first appearing sommelier. Studied Oenology and Beverage Technology at Technological Educational Institute of Athens and holds the Higher International Certificate of Wine and Spirit Education Trust (WSET). Worked as an oenologist during harvest in Tripoli and east Attica region. 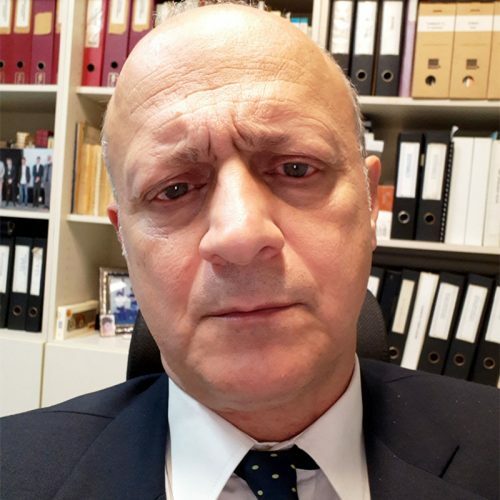 Currently is the General Secretary of the “Pan-Hellenic Union of Registered Enologists” and the publisher of two magazines: OINOLOGIA, a scientific journal about vine and wine and D-Files, a magazine about wine, beer and alcoholic beverages. Chemist and graduate of the WSET Diploma. Over the past two years he has consistently published articles on wine sites and magazines. He studied at the Department of Oenology of TEI of Athens. Since 1988 he has been responsible for the production of alcoholic beverages and spirits in the drinks distillery as a second generation distiller. 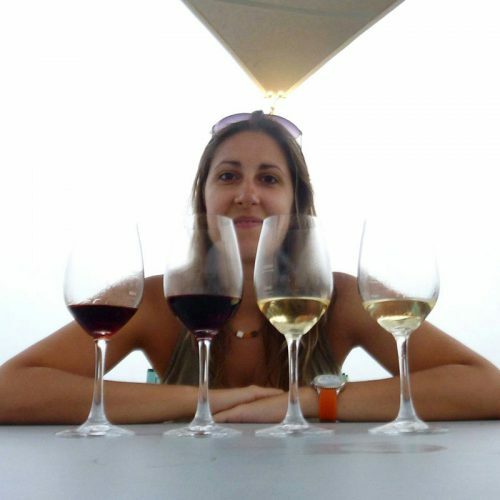 Angeliki Apostolaki is a graduate of oenology and technology - TEI of Athens. For one year worked in ICV Montpellier worked France, vintage and wine analyzes. After that she worked to oenological laboratory and to Kava Aeolos. She is currently working at the Manolesaki Winery. 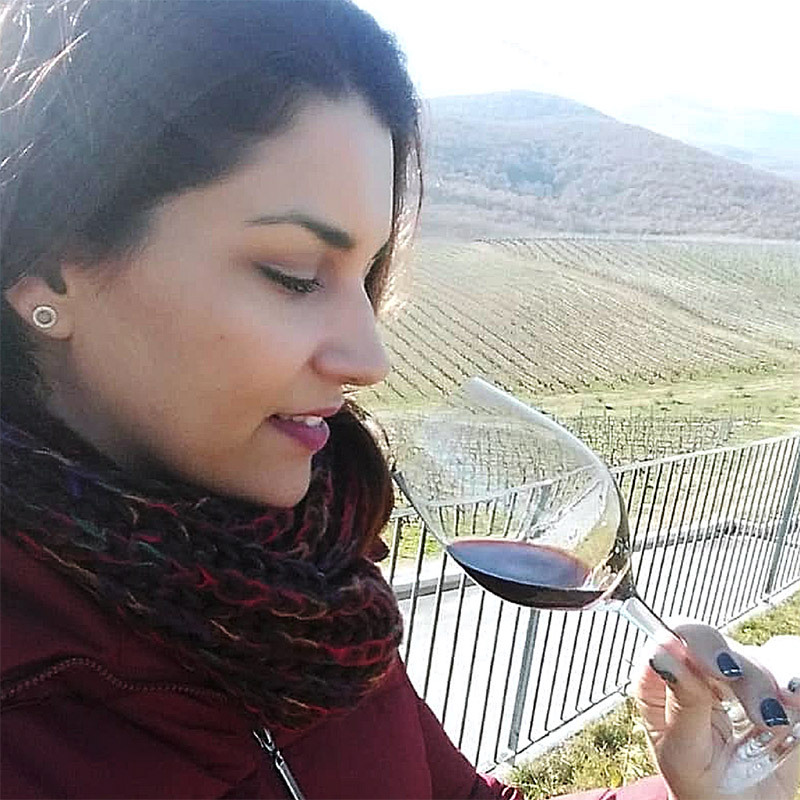 Oenologist & Beverage Technologist, she has worked as an oenologist at OINOFOROS winery and later as a production manager at KIR YIANNI winery. Since 2003 she is in charge of the export department of GAIA WINES. 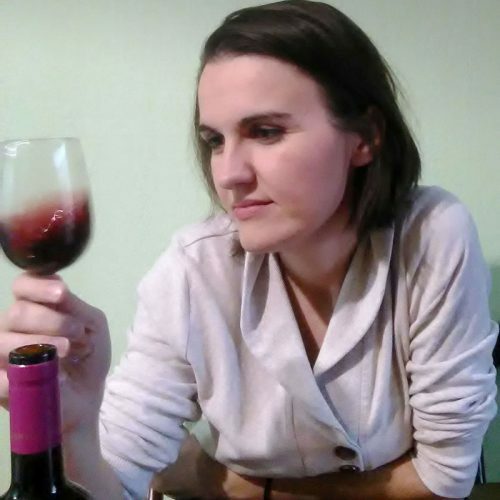 She has participated as a representative of wineries and unions at exhibitions abroad and she is an active member of PANEPO, in which she has been a General Secretary for six years. 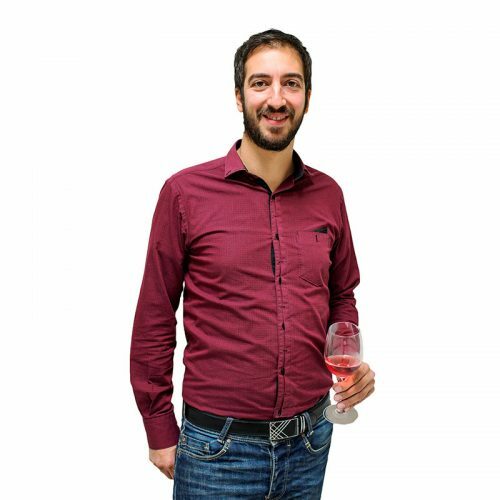 He holds a degree in Oenology & Beverages Technology from TEI Athens and a Level 3 certificate from WSET. Since 2006, he's been trying to split his time evenly between hops and grapes, working (in breweries and bars), tasting (everywhere), writing (in paper and online magazines) and talking (to whoever wants to listen) about them. Since 2015 he's been using Oinoscent as a base for his quests. He was born in Darlinghurst of Australia. In 1992 he entered at the Technological Institute of Athens, department of Oenology and Beverage Technology where he graduated 1996. He worked in the production and the qualitative control but also as enologist and director of production for Oenoforos, for Oktana Company (nowadays Strofilia) as well as for the E. Spanos winery. 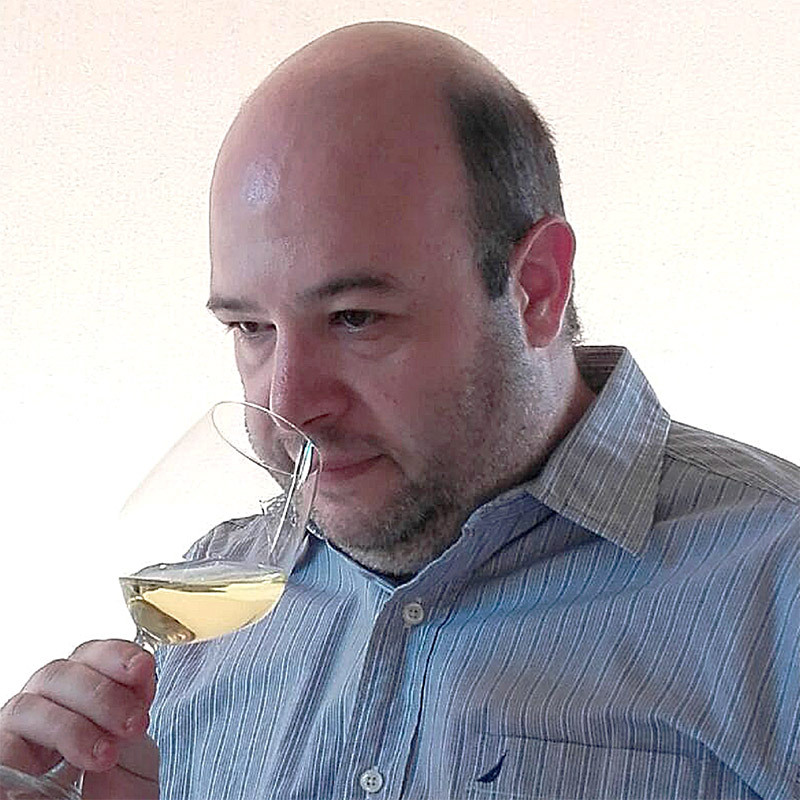 From 2004 until now, he works as an enologist and general director for the winery Tetramythos in Ano Diakopto Aigialeias. From March 2005 he also owns a wine consulting company. WSET Level 2 Award in Wines & Spirits (W.S.P.C.). He is the creator of the e-shop ``winekingdom.gr``, with the specialization and main objective of the promotion of the Greek vineyard. Studied Oenology & Beverage Technology at Technological Educational Institute of Athens and further continued his studies in wine at W.S.P.C. 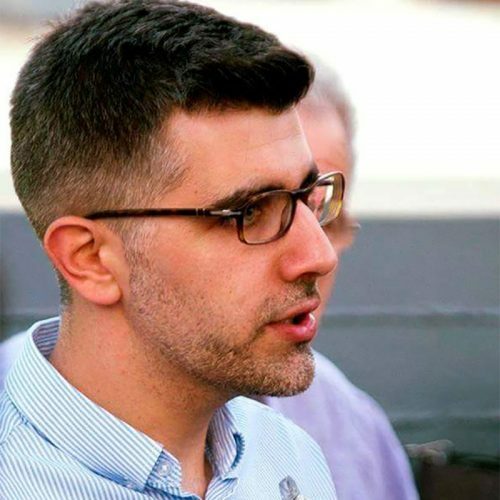 Professionally he began working at the wine-production sector in Mesogeia-Attica based winery, Georga’s Family Organic Wines and continued working as a Sommelier in Wine Bars and Restaurants such as, Vinarte Glyfada, Varoulko Seaside and A for Athens. 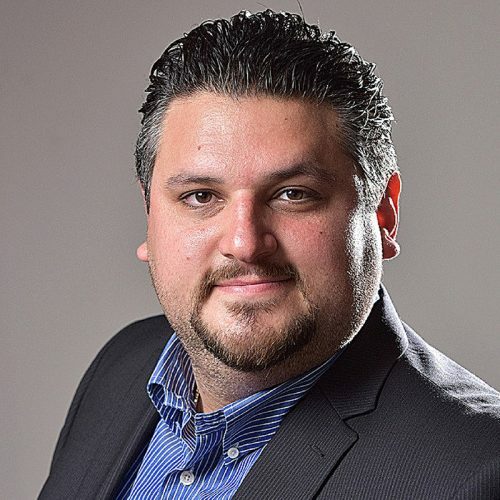 Furthermore he works as a third-party contractor and wine consultant for Greek wineries and wine import companies. He studied at T.E.I. (technological education institution) of Athens in School of Wine and Drink Technology. 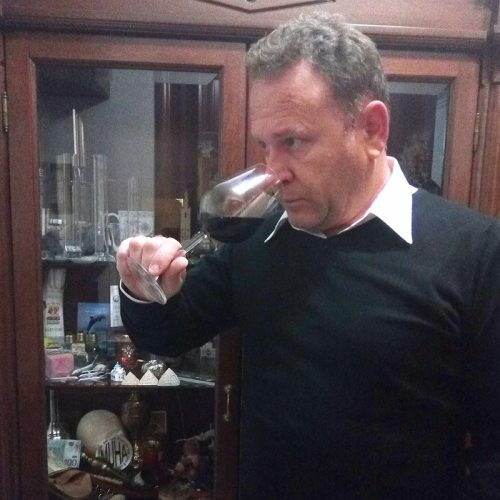 He worked in the Institute Cooperative du Vin in Montpellier, supervising little wineries in southern France in 1990 and in E. Tsantalis Winery in Agios Pavlos, Halkidiki, as a production manager, from 1992 to 2013. In the Company “Greek Market” as a consultant for the production of pomegranate juice in 2013. In the Agricultural Winemaking Cooperative “DIMITRA” where he is responsible for the production of wines and spirits distilled from 2014 until today. He has been working for many years with various small wineries as a winemaking consultant, in the region of Macedonia and Thrace. Over the years, he has taken part in a number of seminars and research programs on quality assurance, tasting, wine making, and organic wine production. 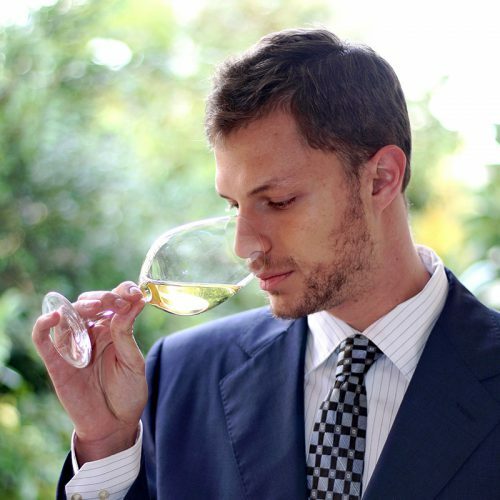 He has taken part in a large number of wine competitions as a taster. 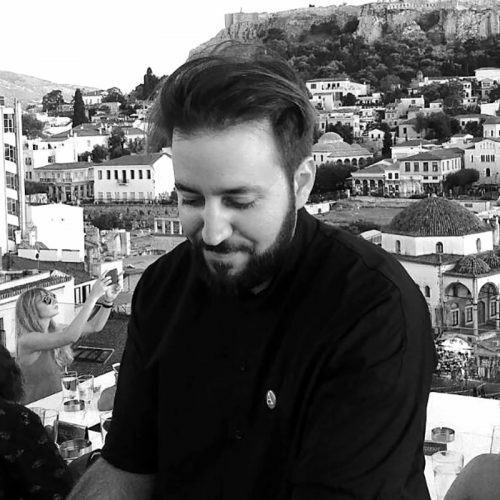 He is a member of the Pan-hellenic Union of Graduate Oenologists, PANEPO. 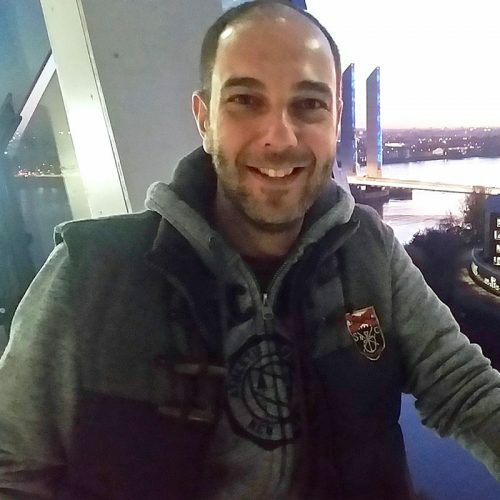 Born in Drama, northern Greece, he lives in Kalamaria, Thessaloniki; he is married with two children. 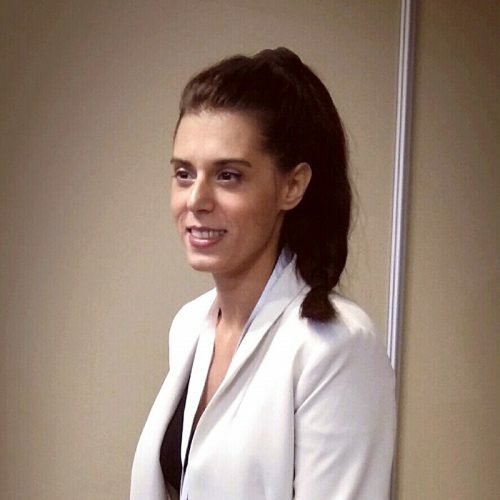 She graduated of the Department of Oenology and Beverage Technology of Athens Technological Institute (ATEI) and holds a postgraduate diploma in the Chemistry Department of the National Technical University of Athens with specialization in Industrial Chemistry. During her studies she participated in experimental vinification that took place in the Department of Oenology. Her first steps were taken at the Semeli Winery in Koutzi Nemea, where her practical training took place there. 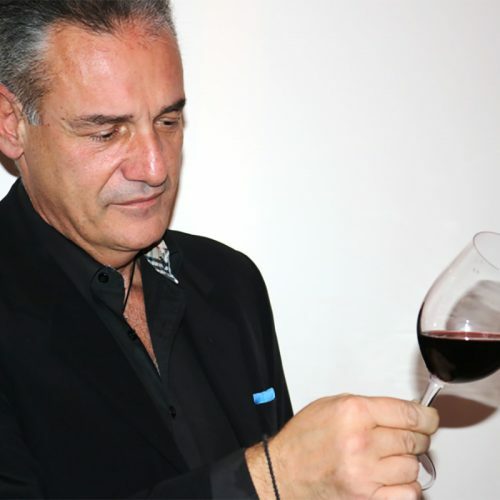 In 2013 he was distinguished in a blind tasting contest of the ``Voroni``. Later he moved to sales, wine and drinks. 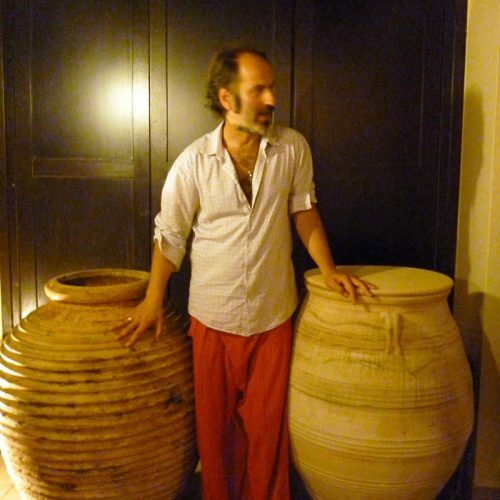 In 2016 he worked at the ``Boutari`` Winery of Santorini as an oenologist in the visiting area but also in the initiation process. 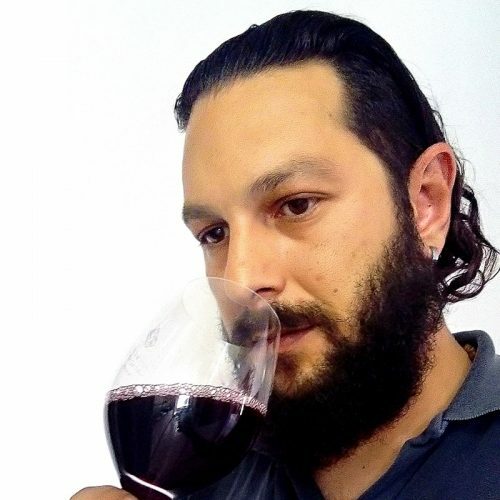 He is oenologist graduated of Athens Technological Institute (ATEI), with Master in viticulture and terroir from the University of Burgundy. It has been winemaking in small, medium and large wineries, three times in Greece, Naxos, Limnos and Nemea, three times in France, Languedoc and Burgundy and once in Marlborough- New Zealand, and has worked at a research and advisory level the wine sector in Burgundy, the Loire Valley and England. He has created the educational channel ``The Winemaker's Art`` on YouTube and also publishes articles on scientific issues of oenology. 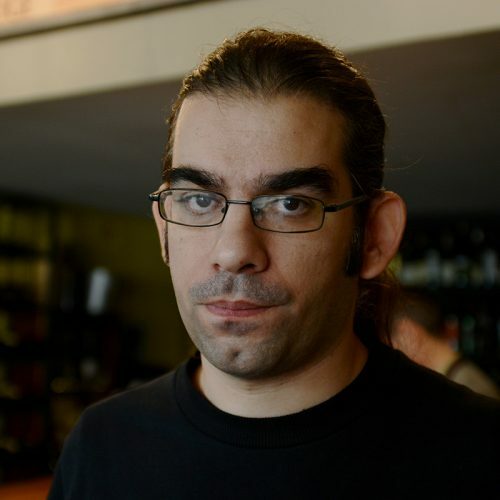 Dimitris Drakos is a graduate of Oenologist and Pro Expert Olive. 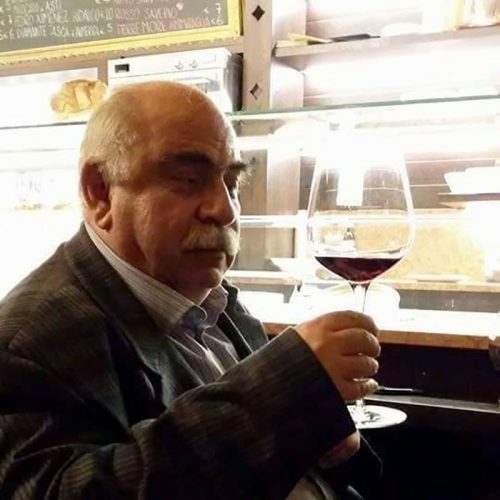 Firstly, he worked as an oenologist in production area in ARKAS S.A. and SEMELI AGRICULTURAL VINICOLE S.A., while continued as Sales Executive in EVANGELOS TSANTALIS S.A. and SEMELI GEORGIKI VINICOLE S.A. to conclude agreements in HO.RE.C.CA. market. 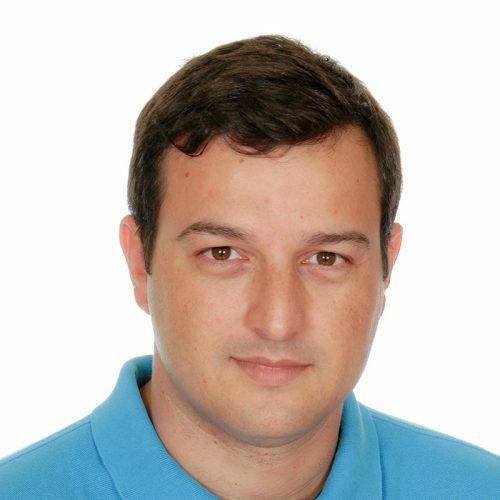 Graduated from the Department of Oenology and Beverage Technology of Technological Education Institute of Athens and is currently participating at the Msc Quality Management and Technology at the Hellenic Open University. From 2007 she works at the winery Nico Lazaridi in charge of the Chemistry department and since 2014 she is in charge of the Technical Marketing department. Born and raised in Athens, Greece. 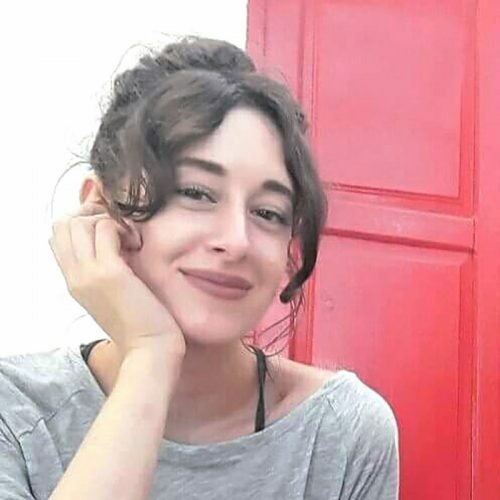 Studied Enology and Beverage Distillation Technology (BSc) in Athens, before moving to Champagne, France for her studies in Wine Production Management Vins et Champagne (MSc) at Université de Reims, Champagne-Ardenne. She completed her studies in Nottingham, UK studying the physicochemical properties of aromas in wines and spirits after the award of exam-based scholarship from the Greek State and she presented her PhD thesis “Factors determing aroma release from wine-based systems” which conducted under the supervision of Prof. AJ Taylor and Dr RST Linforth, Samworth Flavour Laboratory, University of Nottingham. 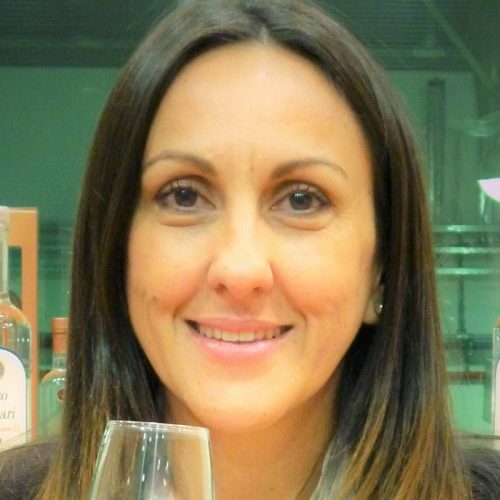 With more than 20 years of work experience in France, Great Britain and Greece (Maison Trimbach, Champagne Pommery, Domaine Chatzimichalis, etc) she is for the last 9 years the person behind the new distillates & spirits development, being the R&D and QA head in Plomari Ouzo Distillery-Isidoros Arvanitis, Lesvos, Greece. She is the co-author of 7 peer-reviewed publications in highly respected scientific journals, 2 book chapters in scientific books on Flavour Science, and her work was presented in a number of conferences (oral and poster presentations) and conference proceedings. 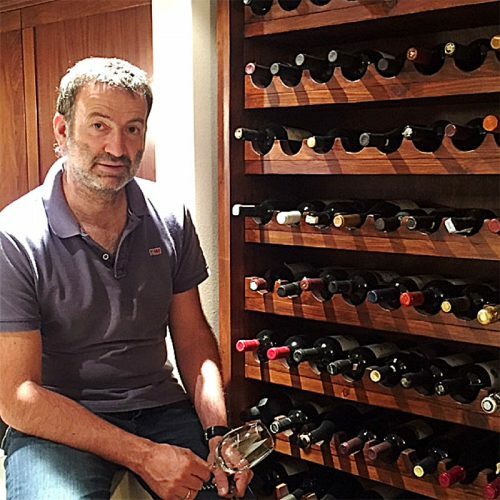 Sommelier – Oenologist. With a degree in Oenology, ongoing Wine & Sommelier Expert Course & WSET level 4 Diploma, as well as writing numerous articles for wine blogs. Aris is quite a busy man. 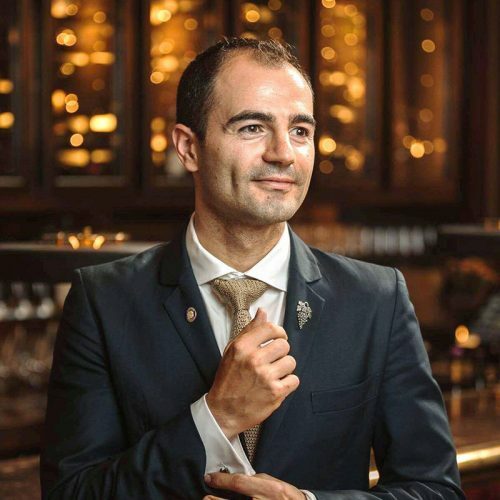 He won the competition for the best Greek Sommelier of 2016 and will represent Greece at the International Sommelier Competition in 2019 at Antwerp. Agriculturist – Oenologist. Viticultural consultant at AGRO OENIKI. Ph.D. in Viticulture. Since 2014, Adjunct Proffessor in the Dep. of Oenology & Beverage Technology of Athens University of Applied Sciences both at the Under-graduate and Post-graduate Courses (MSc in Wine and Beer Science). Director of the study programme: “Viticulture - Oenology” at IEK Praxis. Seminar Instractor, Consultant of Wine Production and Wine Tourism. 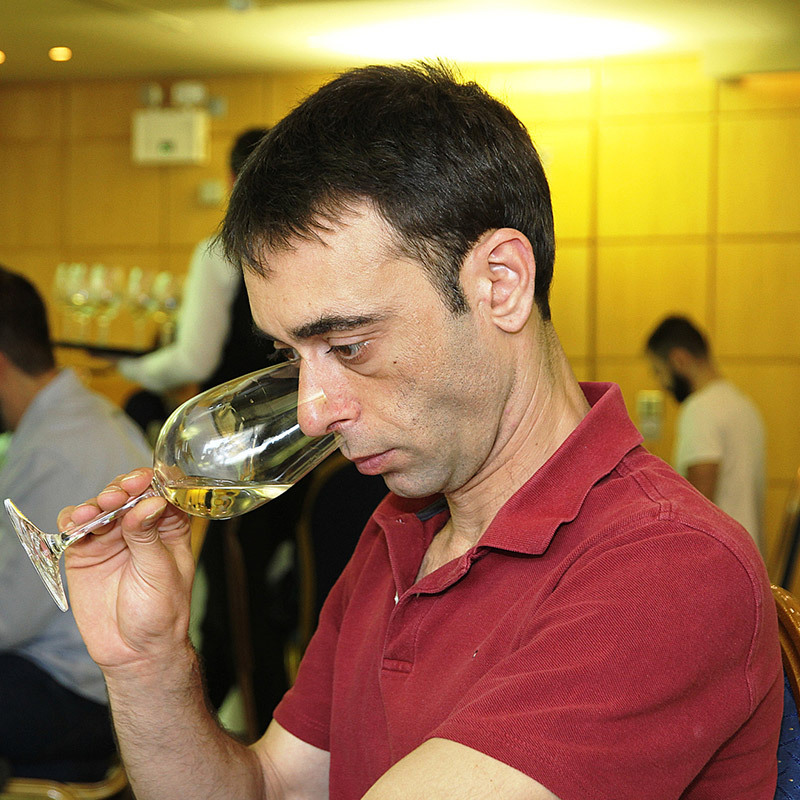 Oenologist with over 20 years experience in Greece. He has worked as production manager to many wineries throughout the country. 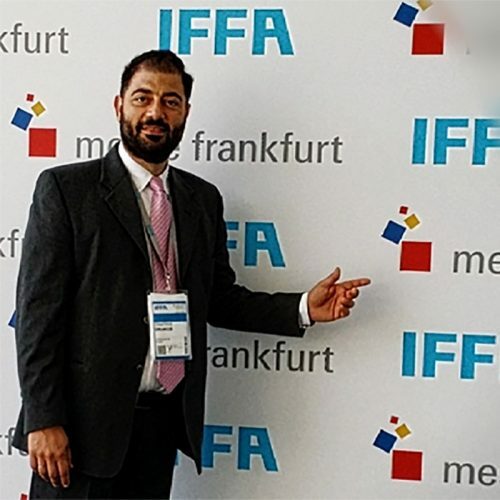 Additionally, for the last 8 years he has been an adjunct lecturer of Industrial Fermentation Biotechnology at Athens Applied Science University. He holds a PhD in Yeast and Fermentation Biotechnology and is a member of the European Federation of Biotechnology, Scottish Microbiology Society, and Organization International du Vin. 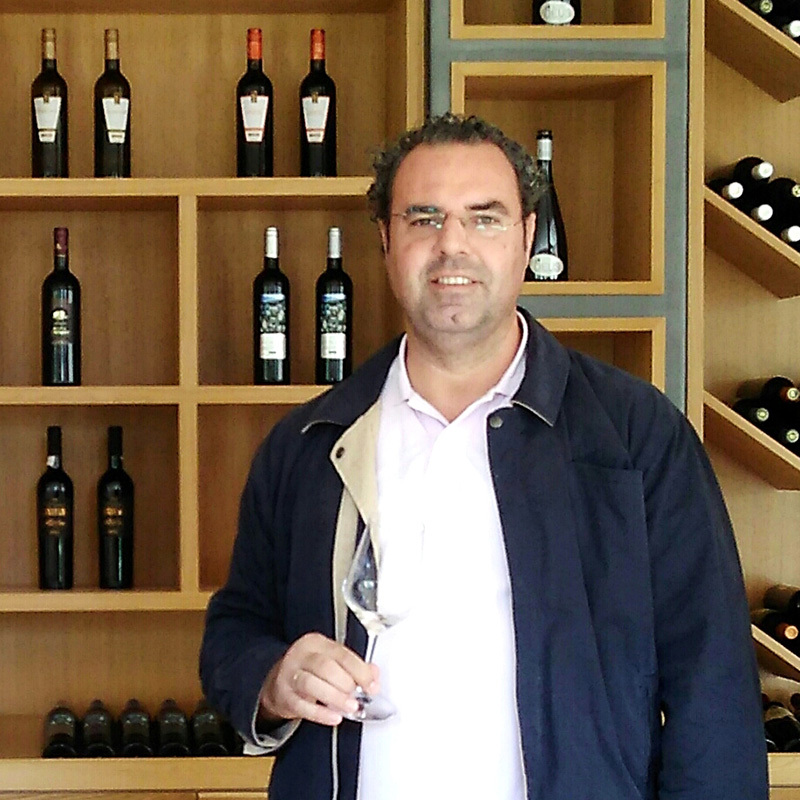 For the last ten years, he has been working as a consultant for five wineries in Greece. Under his supervision, over 42 different wines are produced from fifteen different terroirs.